RAWIllumination.net: Did Joyce write the modernist 'Bible'? I'm still intrigued by a topic I mentioned Wednesday, intensive reading. Michael Johnson wrote about it the other day on his blog, and I'm having trouble getting it out of my head. 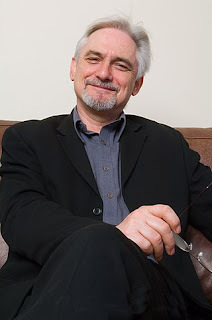 Scholars of reading like David Hall and Rolf Engelsing have confirmed and drawn out something I'd assumed: around 1750 or so, "intensive" reading — in which a reader reads a book or books over and over — gave way to our modern "extensive" way of reading a book, rather quickly, then moving on to the next thing. I know certain 20th century writers - Robert Frost comes to mind - were known for reading the same 20 books over and over. I think many of us do both types of reading. I don't know what Hall and Engelsing have to say, but I'm guessing that prior to 1750, there must have been significant numbers of readers who concentrated on reading the Bible, and works that were more or less commentaries on the Bible. Even today, it's not uncommon for Christians to read a bit of Bible verse every day, to make reading the Good Book a continuous exercise that never ends. But isn't this also a description of how James Joyce's readers behave? 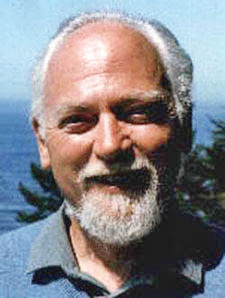 According to Eric Wagner, RAW's Boswell, Robert Anton Wilson recommended reading Ulysses 40 times. It's taken for granted that anyone reading Ulysses is going to look for help from a reference book, or at least will get some background on the Internet. And Finnegans Wake obviously was written to be studied, as opposed to being quickly read and tossed aside like a paperback thriller. I'm not enough of a Joyce scholar to know if he intended to write a modernist Bible, but that would appear to be what Joyce did. For Joyce scholars, reading and re-reading him and looking for fresh insights is a process that never ends. Would it be a stretch to call Illuminatus! a postmodernist Bible? It is certainly a mixture of high and low culture, and one gets the sense reading it that Wilson and Shea tried to write about everything they knew, or at least a significant port of it. I have certainly been able to find plenty to notice when I re-read it, and the Illuminatus! reading group found many aspects of the book to talk about. I would not have known, for example, just how Discordian it was until I read Adam Gorightly's articles. 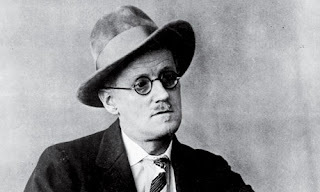 I think Joyce wanted readers to approach his work religiously, especially Finnegans Wake. During the online Tales of the Tribe class RAW started a discussion by saying that Carl Jung recommended "Ulysses" as a new Bible - did people think it a new Bible? and the discussion took off from there. My feeling holds that a new Bible (like the original) would comprise several books with Illuminatus! as one of them. Illuminatus! rewards intensive reading. I got much more from it with this last group reading than the previous five or six times. I suspect more treasures remain to be discovered. I tend to categorize some of my favorite books as "encyclopedic" even if they aren't encyclopedias. (Look up "encyclopedia" and note etymology.) In my idioclassificatory system, both fiction and non-fiction books can be encyclopedic. RAW's syllabi (Korzybski/Joyce/Pound/Popper/Shakespeare, etc) all qualify under my scheme. Illuminatus! does too. The first encyclopedias sort of rose out of dictionaries. I'm a big proponent of having your books that you keep returning to, reading over and over. Film too! We take intensive listening of music in stride. The 1750 thing: extensive reading was going on for a long time, among the upper classes who could read and had access to books. Look at Montaigne (d.1592) up in his cylindrical room lined with books. Look at what actuated Don Quixote: books filled with the old romantic heroes. OTOH there's a certain jokeiness in Jung's review that might suggest he wasn't being entirely serious about some of it. RAW left out the 'white race' part of the quote in TOTT. Intensive film viewing is great, also, of course, intensive music listening. "We're making our music into a new kind of bible, a bible you carry in your hearts, one that will give you a physical feeling. We play unbelievably loud. Not piercing loud - it's another type of loudness that goes right through your chest." ... If there is a God and He made you, then believing in yourself is also believing in Him. Once you carry God inside yourself, then you're part of Him. That doesn't mean you've got to believe in Heaven and Hell and all that stuff, but it does mean that what you are and what you do is your religion. When I get up on stage and sing, that's my whole life. That's my religion. I am Electric Religion." Compare that with Leary's instruction in the '60's to create your own religion. Tim Leary called Gravity's Raibow encyclopedic. Feb. 28, 1973, saw the publication of that book. The next day saw the release of Dark Side of the Moon. I wil now robotically click the I am not a robot box.